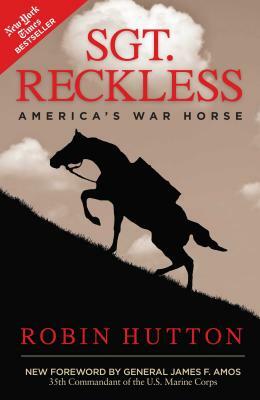 From the racetrack to the battlefielddauntless, fearless, and exemplar of Semper Fishe was Reckless, "pride of the Marines." Author Robin Hutton has reignited excitement about this nearly forgotten legend, realizing the Sgt. Reckless Memorial Monument at the National Museum of the Marine Corps, completed in July 2013, and now spurring the creation of a second memorial at Camp Pendleton, California, where Reckless lived out the rest of her days. The paperback edition includes a new foreword by General James F. Amos, 35th Commandant of the U.S. Marine Corps. It will appeal to fans of Laura Hillenbrand's Seabiscuit, Elizabeth Letts' The Eighty Dollar Champion, and the feature film War Horse. Robin Hutton is currently the president of Angels Without Wings, Inc., a 501(c)3 non-profit corporation that spearheaded the development and dedication of a national memorial to Sgt. Reckless. The monument was dedicated at the National Museum of the Marine Corps on Friday, July 26, 2013, and an exhibit inside the museum was also opened at that time. A second monument is planned for Camp Pendleton to be dedicated at a later date, as well as one in South Korea. Hutton was recently named “Patriotic Citizen of the Year” by the local chapter of the Military Order of the World Wars and the Military Order of the Purple Heart for her charitable work. She was awarded that honor at the Ronald Reagan Library in June 2014. Hutton has spent her adult life working in major event productions and the motion picture business. She has been the writing partner of Tom Laughlin (the legend of Billy Jack fame) for the last thirty years, and is co-author of The 9 Indispensable Ingredients in Every Hit Film, TV Show, Play and Novel. Hutton currently lives in Santa Rosa Valley (Camarillo), CA.